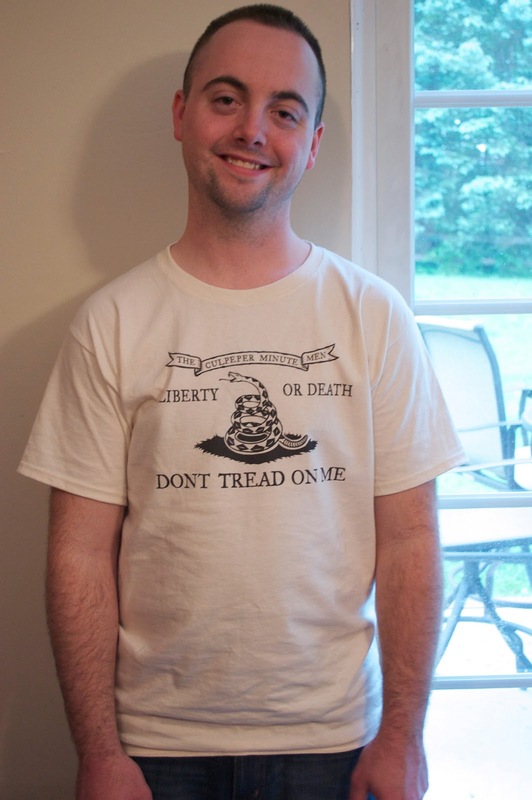 I recently had the opportunity to try out some products from Cafe Press - a website that offers THOUSANDS of custom t-shirts, unique gifts and SO much more! Ohhhh yeah. 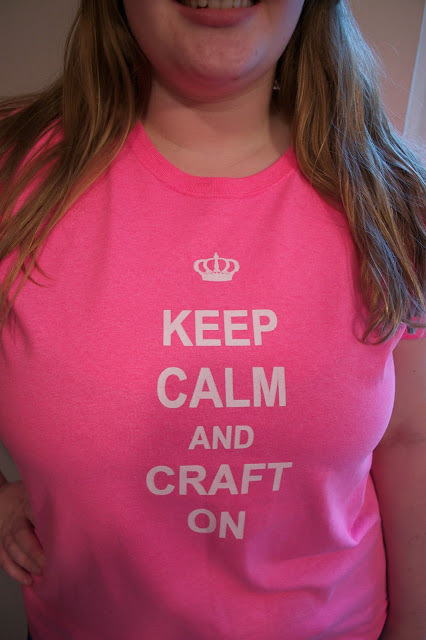 Keeping things crafty :) I'm NOT a t shirt girl - but every now and then if it's the weekend and I'm only running to the grocery store or something like that I want to wear a t shirt - but something a little more classy than some old high school class shirt or something like that. 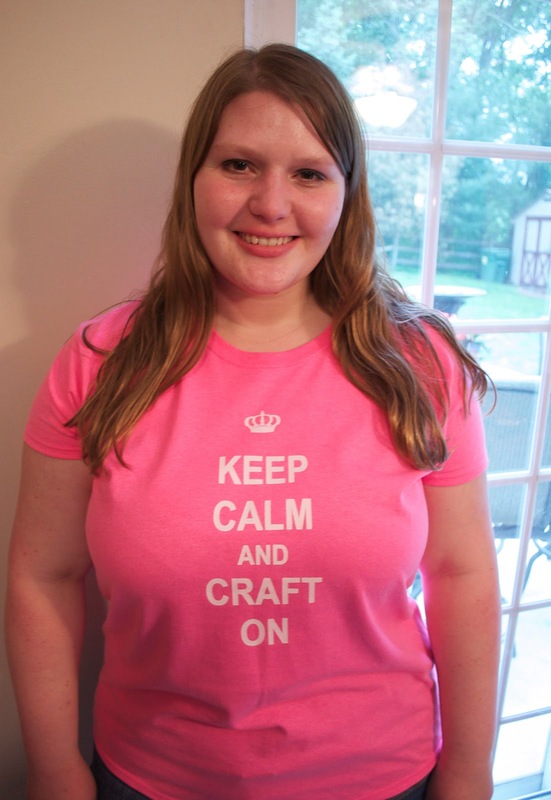 So - I'm completely digging the pink and crafty theme of this shirt! He was so happy to be posing for blog photos haha....not. But again, there are TONS of other categories besides crafting on there. And if you CAN'T find something your style, you can upload your own design and see it on tons of different products. 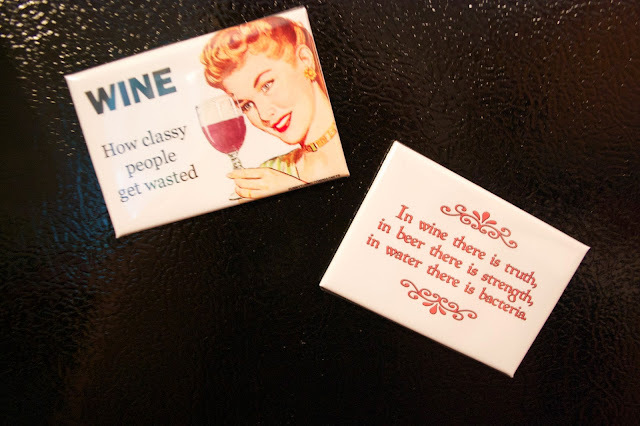 "In wine there is truth, in beer there is strength, in water there is bacteria." I literately loled after reading that one! So, as you can see there really is something for everyone at Cafe Press. If you need some ideas on where to start looking i'd suggest the sweatshirts, pajamas, custom shirts, and fun t shirts!! Disclosure: I was provided these products for free but all opinions are my own! Your Honey has a nice smile even if he's not happy to be posing. :) I enjoy your blog. Bless his sweet heart he posed in a cardboard box for me. I decorated my kitchen in a wine theme also. I even (really my father-in-law) painted the walls "wine tasting" by Behr from Home Depot. I love my kitchen and it has now become my favorite room in the house!